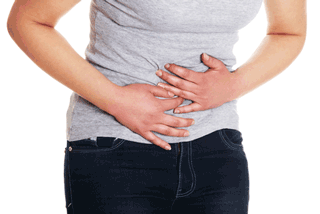 Acupuncture and Traditional Chinese Medicine has been shown to help people with Irritable Bowel Syndrome (IBS). The condition is also known as spastic colon or mucus colitis. The condition is labeled a syndrome because is involves a group of symptoms that varies for each individual who is affected. There are many people who suffer from this condition. IBS is almost always considered a disharmony between the liver and the spleen in Traditional Chinese medicine. The liver is responsible for the smooth flow of substances throughout the body. This flow can be upset by emotions or stress, causing stagnation of Qi (energy) or blood. Traditional Chinese medicine views the spleen as being associated with the function of digestion and transforming food into energy (Qi and blood). The spleen can be weakened by a number of factors, including overeating unhealthy foods, overwork, too much worry, fatigue, and lack of exercise. When the spleen is weak and the liver is not moving smoothly, the liver overacts on the spleen and can manifest as symptoms of IBS. A liver/spleen disharmony is similar to the short-term loss of appetite, or a bout of diarrhea, that occurs during an occasional emotional upset. With IBS, however, the phenomenon occurs in slow motion; the emotional trauma or stress takes place over a long period of time, and the digestive symptoms of IBS can last for years. Acupuncture, Chinese herbs, dietary therapy and lifestyle changes can all help to facilitate healing of the IBS condition. Getting adequate exercise to help relieve stress, move energy, regulate bowels, and help alleviate constipation. Practice stress relief measures, such as meditation, yoga, breathing exercises, or quiet time, to help keep IBS symptoms under control. Pay attention to diet and focus on eliminating foods that trigger symptoms. Also add adequate fiber to diet. Soluble fiber is gentler on the GI tract, and includes foods such as oatmeal, berries, and legumes like lentils and garbanzo beans. Crude fiber, such as bran and raw vegetables and their skins may be too irritating, and should be monitored as a trigger for symptoms. Other foods that are common triggers include greasy or fatty foods, diary products, alcohol, caffeine, chocolate and drinks that are carbonated. Probiotics can be helpful for some sufferers. Probiotics are supplements that replace the good bacteria in the gut necessary for digestion. Adequate sleep is important for sufferers because stress, which is the most common trigger for IBS, is aggravated by lack of sleep. In addition, adequate sleep helps the body heal and rejuvenate. Consider giving Acupuncture and Traditional Chinese Medicine a try if you find yourself suffering from Irritable Bowel Symptoms.